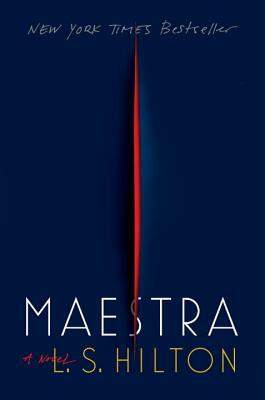 Maestra is L.S. Hilton’s debut novel and you would never guess it is her first book. The writing is great and packed with enough suspense that you just keep reading. Judith is an incredibly ambitious person who has worked hard to overcome her meager beginnings and won’t stop until she has everything she has ever desired. She has transformed herself, including her accent, and is now working for a prestigious London art house. However, the world isn’t fair and she is unjustly fired from her job after she discovers a fraudulent painting and a dark secret. Refusing to give up her lifestyle and feeling reckless, Judith finds someone who will pay her way – until she discovers a murder. As her life keeps spiraling away, Judith keeps finding ways to stay on top and sometimes crime is the best way. If you are in the mood for a little art history, a little darkness, and just a touch of naughtiness, then this is the perfect book for you. Judith never stopped surprising me. Every time I thought the game was up, she would find a way out (which often was not the moral high ground or necessarily legal, but a girls got to do, what a girls go to do). My favorite part of this novel was the art history and information on art forgeries. I don’t have much knowledge in this area, so the process for determining a forgery and the whole underworld of art was fascinating. I do have to say, Hilton’s novel is not for the pure of heart. Judith is calculating, cold, and likes to have steamy love affairs on the side. That being said, Hilton creates an interesting female character who is strong, determined, and refuses to let anyone else be in control of her life. I am quite curious to see where Judith’s story goes from here, but I am sure it will be suspenseful and a little spicy.